The City of Windsor has approved the Ford City CIP (Community Improvement Plan) and applications are currently being accepted! 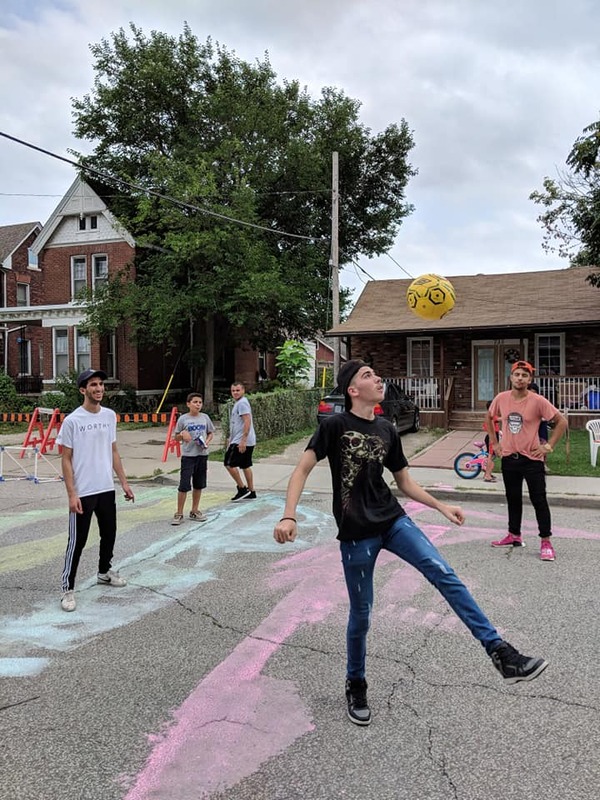 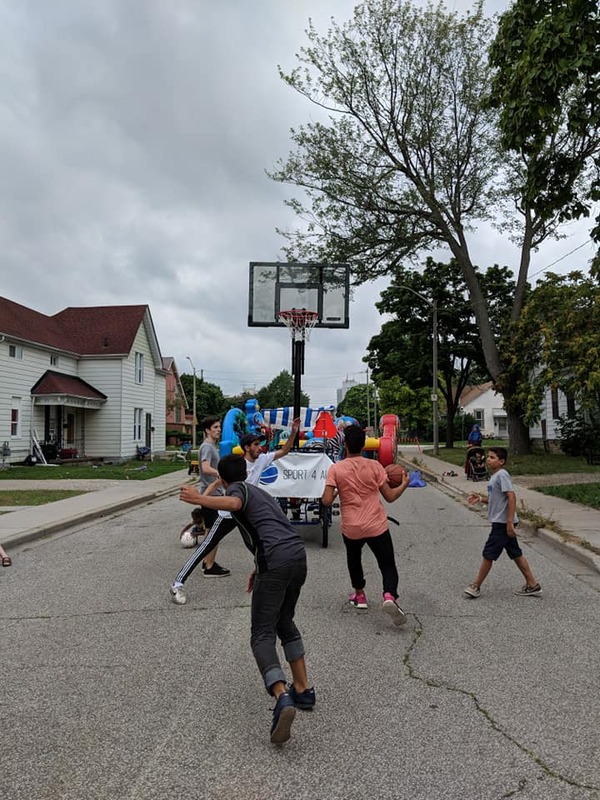 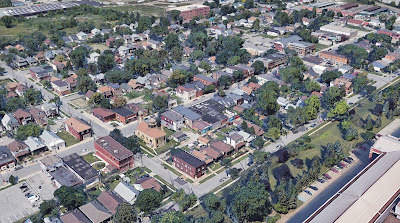 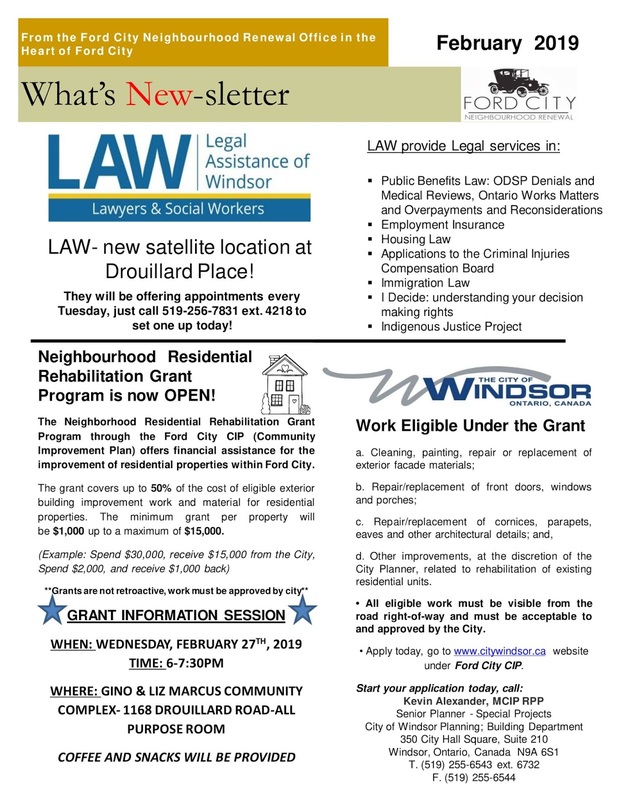 The Neighborhood Residential Rehabilitation Grant Program aims to promote the maintenance and improvement of residential properties within the residential areas of Ford City . 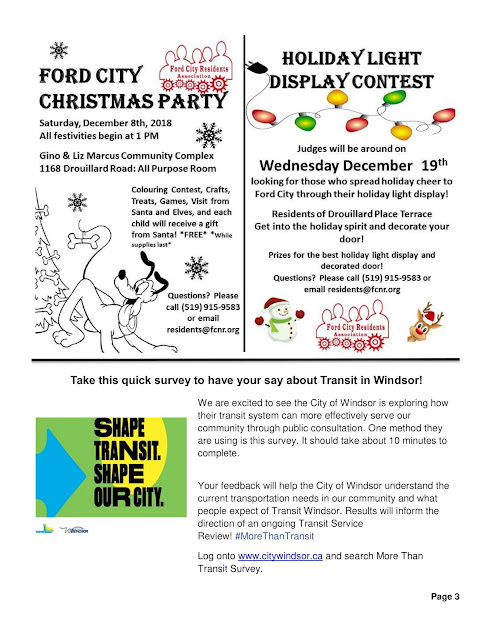 Boundaries include: St.Luke to Henry Ford Centre Drive, Seminole to Riverside. d. Other improvements, at the discretion of the City Planner, related to rehabilitation of existing residential units. 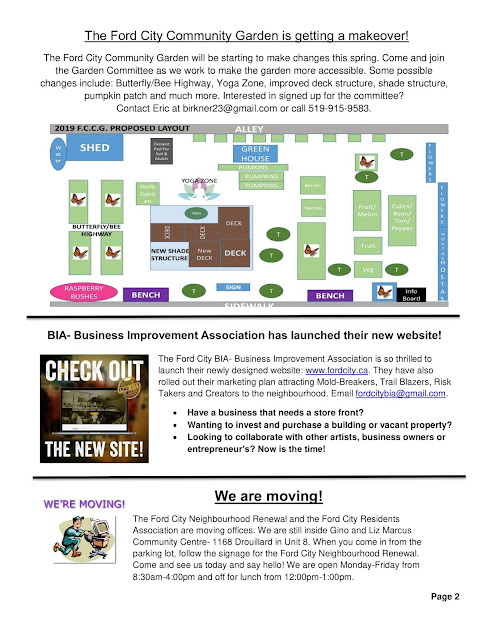 • All eligible works must be visible from the road right-of-way and must be acceptable to and approved by the City. 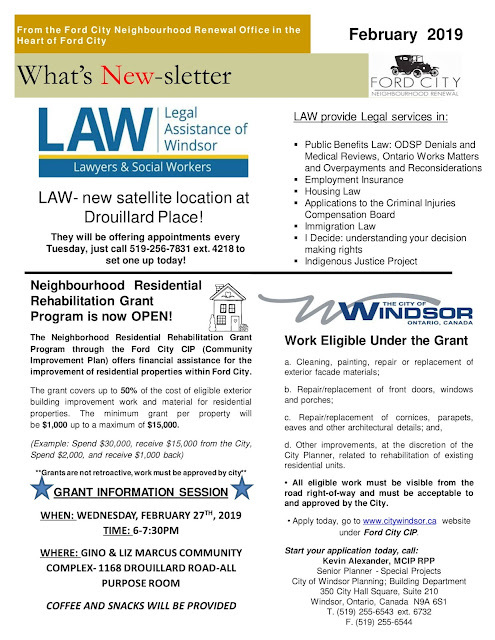 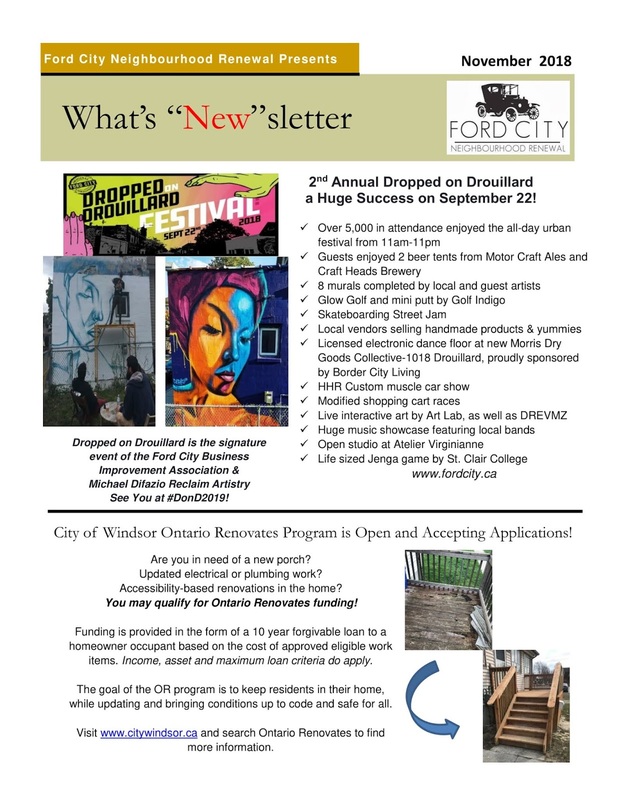 • Apply today, go to www.citywindsor.ca website under Ford City CIP . 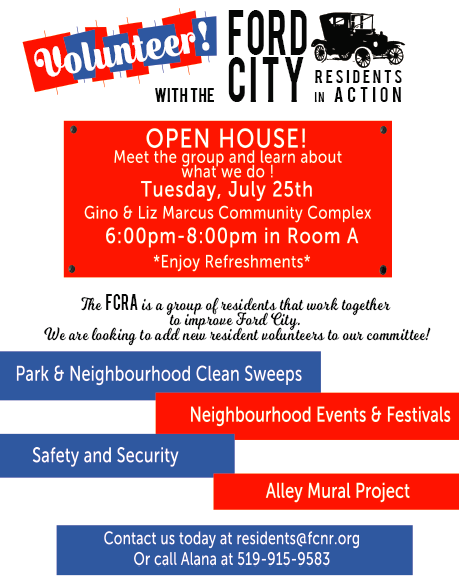 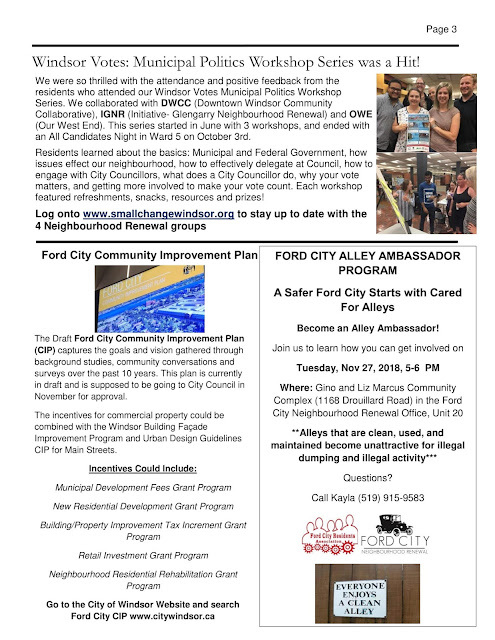 If you have any questions about the Ford City CIP, feel free to contact Kevin Alexander from the City of Windsor or The Ford City Neighbourhood Renewal office at 519-915-9583. 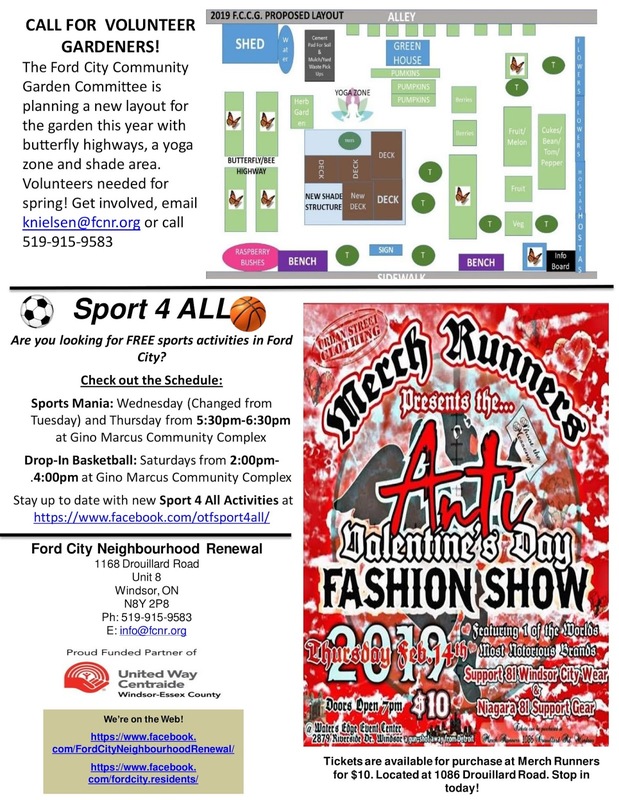 We are open from Monday- Friday, 8:30am-4:00pm (Off for lunch from 12:00pm-1:00pm) and located at 1168 Drouillard Road- Inside Gino and Liz Marcus Community Complex, Unit 8. 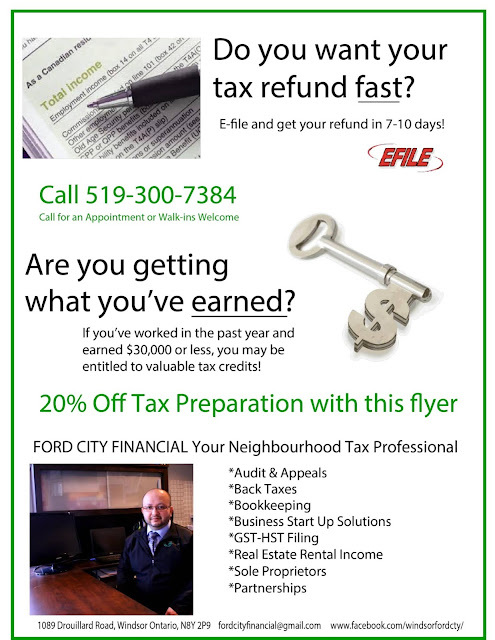 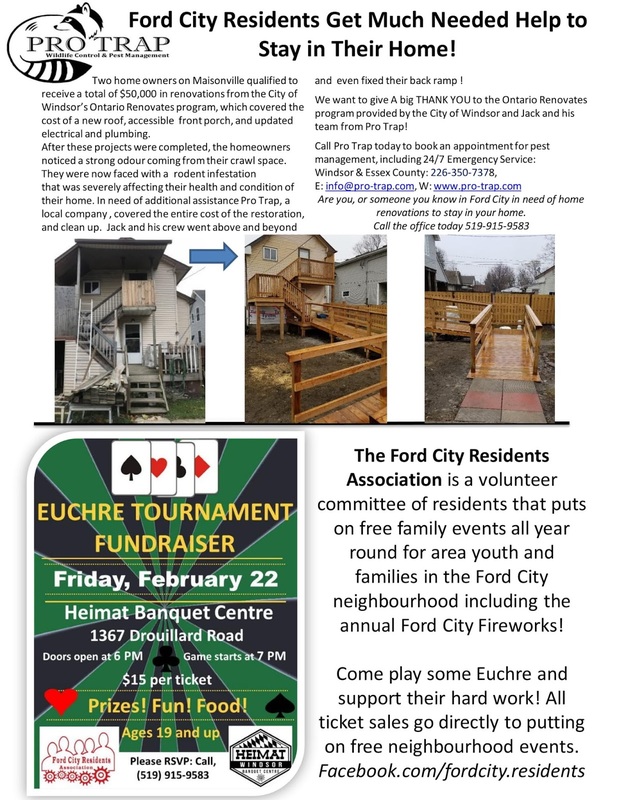 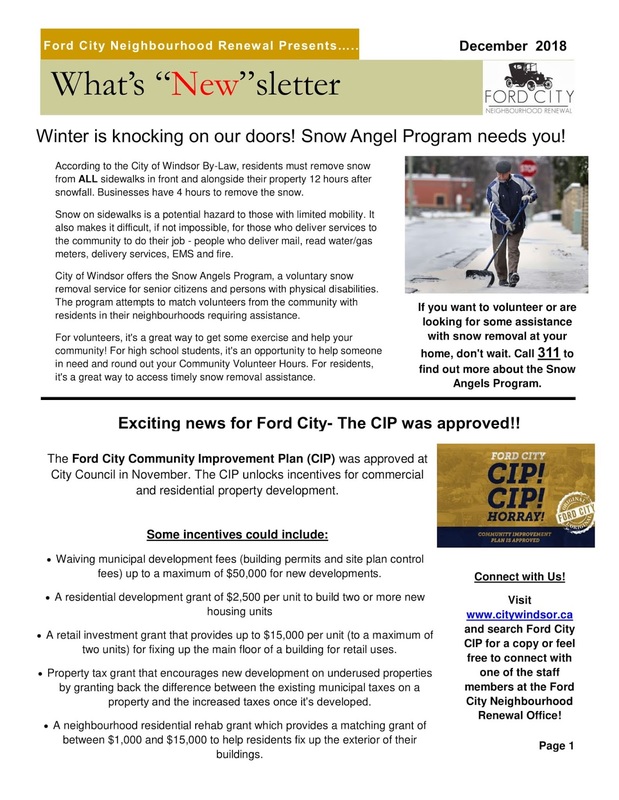 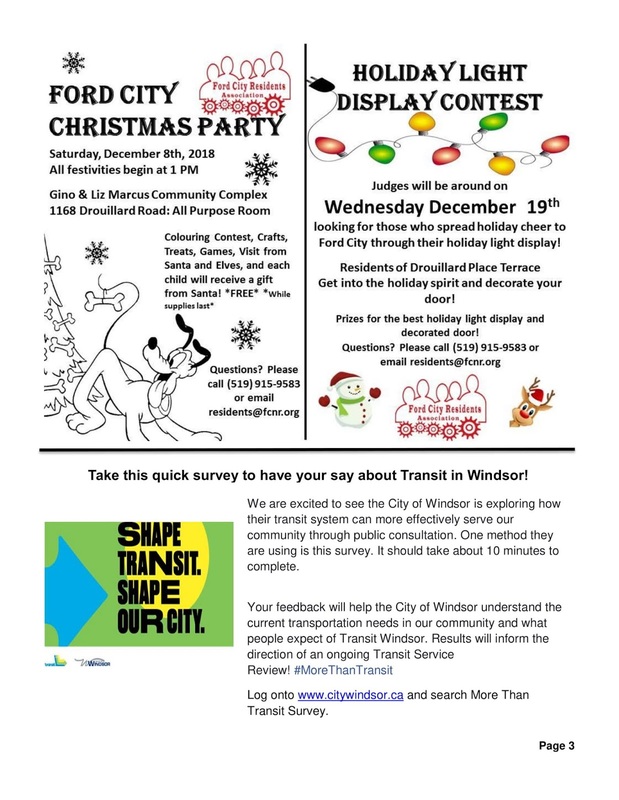 Check out our Newsletter for December about Ford City! Annual Ford City Tree Lighting and Alley Ambassador Program! Sport 4 All- FREE Recreational Sports for all ages! 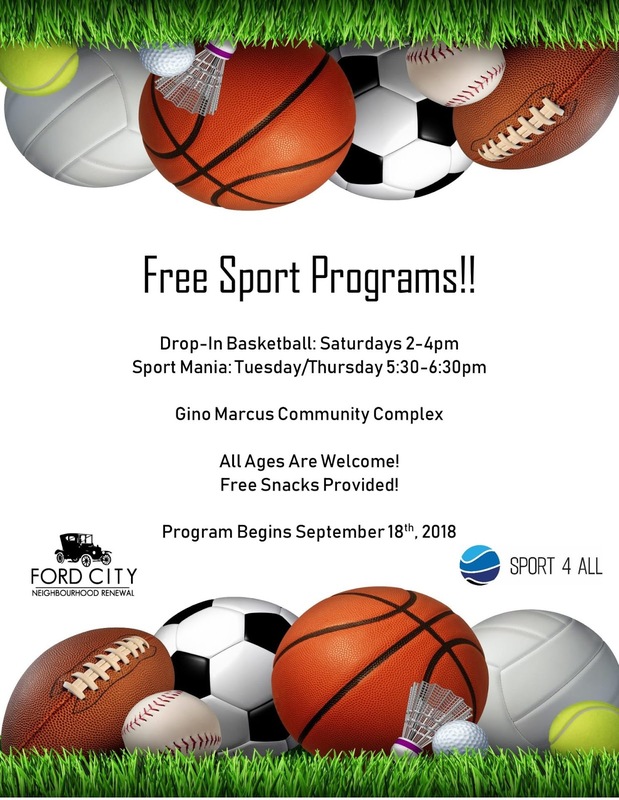 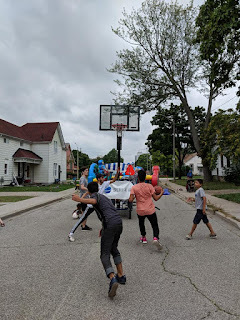 Are you looking for FREE sport activities in Ford City? 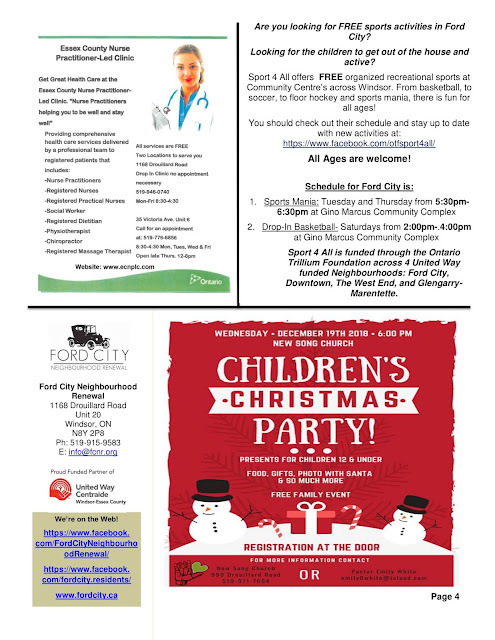 Looking for the children to get out of the house and active? 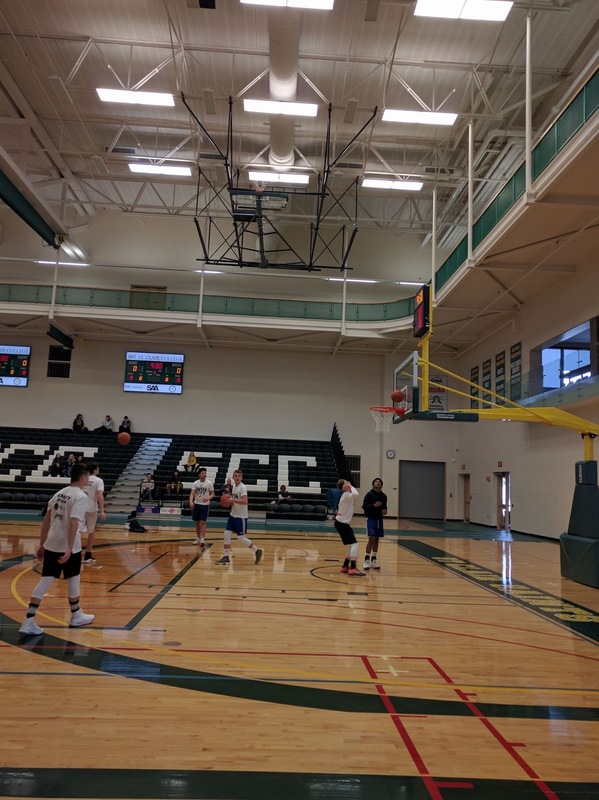 Sport 4 All offers FREE organized recreational sports at Community Centres across Windsor. 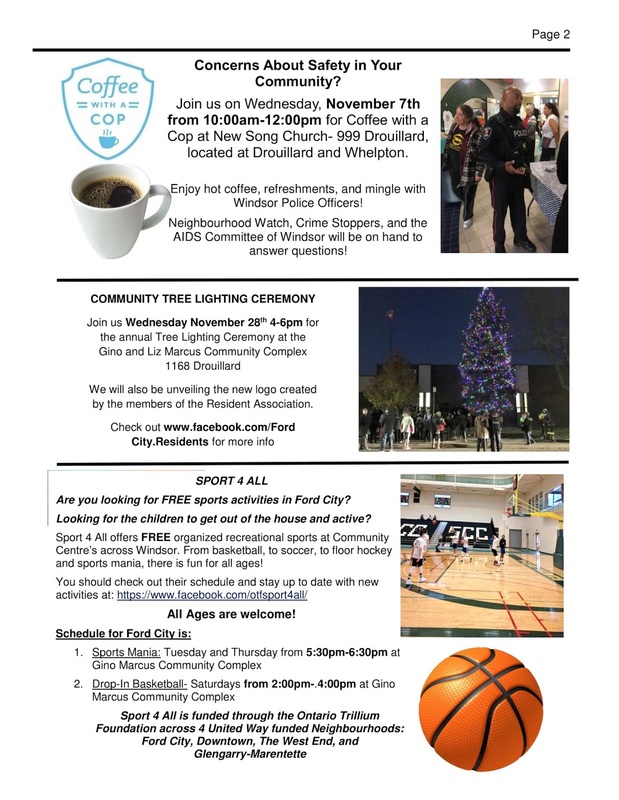 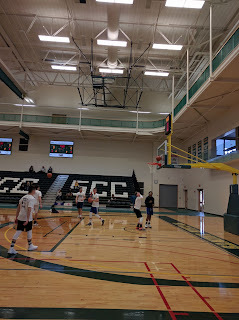 From basketball, to soccer, to floor hockey and sports mania, there is fun for all ages! 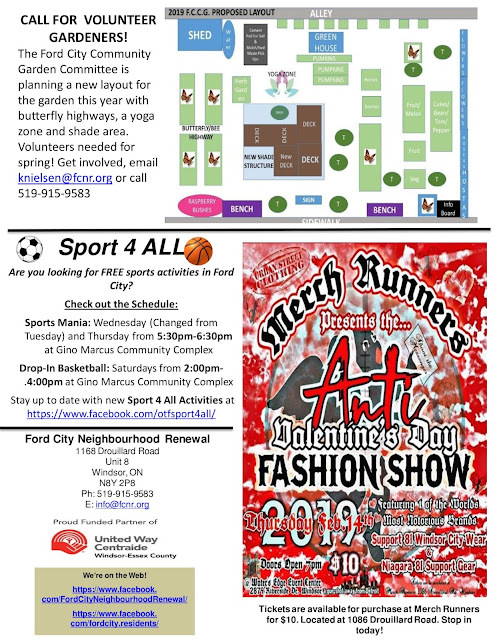 Drop in at the above times or contact Malik Chase, Sports Coordinator, at sports@dwcc.ca or simply call the Renewal staff at 519-915-9583. 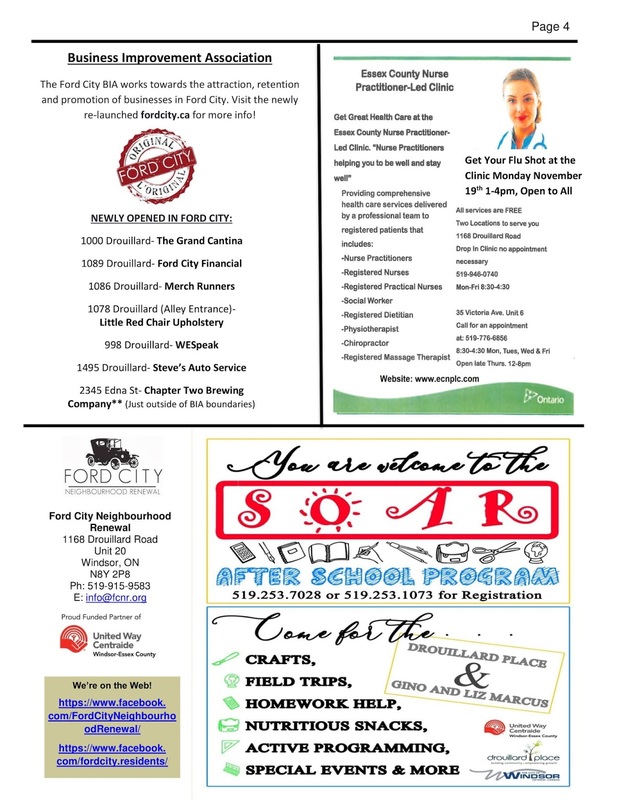 Parents are welcome to drop children off and pick up promptly at end of program. All participants/guardians must fill out a registration the first time they attend the program.